Laura graduated from Amberton University in Dallas TX, with her Master’s in the Art of Counseling. 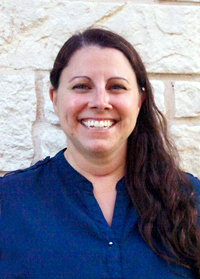 She has been counseling with the Austin Stone Counseling Center for 5 years and recently started private practice. She enjoys working with young adults experiencing life changes through college and early career life stages, couples, individuals and families experiencing long term illnesses and/or injuries, as well as people struggling with depression and anxiety. Laura has an eclectic approach to counseling and works with her clients to help them figure out the best approach to their care for their particular season of life. Laura specializes in life stage changes, dealing with illness or injury, depression and anxiety, grief, trauma, multicultural, and spiritual issues. Laura has recently been trained in EMDR (Eye Motion Desensitization and Reprocessing) and is currently implementing this technique in her counseling through a spiritual lens. She is currently working towards complete certification in this model set by the EMDRIA criteria found at emdria.org.